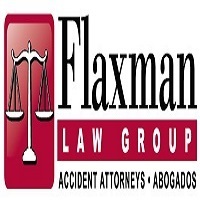 Charles Flaxman has over 30 years experience as a trial lawyer. If you have an injury from an accident, it is important to know your rights. He was an insurance adjuster for 10 years and has inside knowledge of how insurance companies work. Insurance companies are protecting their interests not yours. You can always speak to Charles Flaxman or a paralegal about your case. We are available 24 hours 7 days a week. Charles Flaxman is fluent in English and Spanish.